Disney is planning "a new franchise beyond Avengers" from 2020 onwards - what could it be? While we’re still here wallowing in the events of Avengers: Infinity War, Marvel’s taskmasters Disney are looking forwards to the future of the MCU. 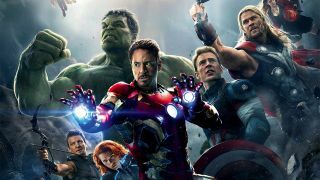 That future, hints Disney CEO Bob Iger, might be one without Earth’s Mightiest Heroes entirely. As reported by THR, Iger revealed: “We meet on a regular basis with our Marvel team, and we've plotted out Marvel movies that will take us well into the next decade. I’m guessing we will try our hand at what I'll call a new franchise beyond Avengers, but that doesn't necessarily mean you won't see more Avengers down the road. We just haven't made any announcements about that." So, not only is the MCU tentatively mapped out for the next decade, but we’re getting an Avengers-level franchise replacement. What’s next? X-Men would be the safest bet. However, that is largely depending on Disney hoovering up all of Fox’s assets in a deal that is very much still up in the air. If there’s one thing Marvel don’t do, it’s dealing in ifs, buts, and maybes. Don’t expect them to put the weight of the world on the shoulders of a franchise that isn’t 100% certain to be in their hands by the time Avengers 4’s credits have finished rolling. Maybe we should look a little closer to home for Marvel’s next big flagship franchise. The New Avengers – a refresh of the core team teased during the closing moments of Avengers: Age of Ultron – could be one such replacement, as could my best guess, which would be The Ultimates. Dealing with threats both cosmic and closer to home, The Ultimates were a group featuring (crucially) Black Panther and Captain Marvel and were essentially the Avengers equivalent of Marvel’s Ultimate comic book universe. It’d certainly make the most sense without shifting the goalposts too much. As for possibilities slightly more out of left-field: a supervillain Masters of Evil would certainly deliver an interesting spin on what could become a tired formula by 2020, as could The Annihilators, a collection of some of Marvel’s greatest cosmic champions, including Quasar and Nova. If Marvel’s universe keeps expanding, anything’s fair game, but one thing is looking increasingly certain: the Avengers might be done and dusted post-Avengers 4. For now, here’s what’s *definitely* lined up for the MCU with a look at all the new Marvel movies coming your way soon.